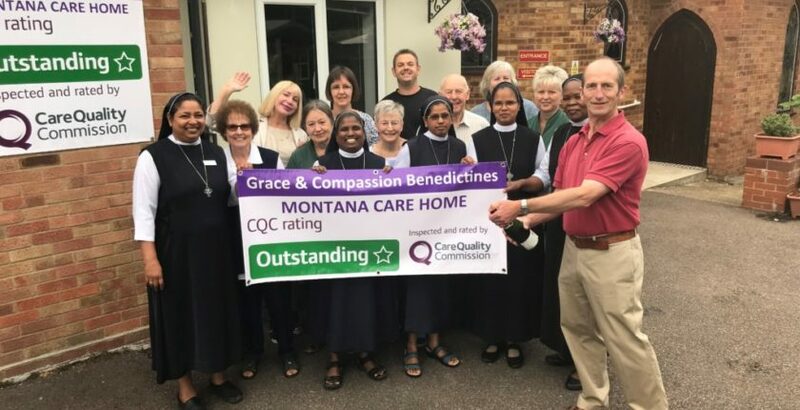 Montana Residential Home in Bury St Edmunds has been rated Outstanding by the CQC. The home, which is run by Grace and Compassion Benedictines, provides accommodation and personal care for up to 19 older people, some of whom may be living with dementia. Home manager Sister Thayawathy Moses told CHP: “Everybody is thrilled. We received one Outstanding with an overall Good rating in our last inspection so to achieve three Oustandings is amazing. Sister Thayawathy said the home’s 10 volunteers paid a vital role in supporting residents and thanked the CQC for its thorough inspection. Jemima Burnage, CQC’s Head of Inspection for Adult Social Care in the central region, said: “People received exceptionally personalised care and support which they were in control of. Jemima said the home’s manager was “highly visible and approachable” and empowered staff to deliver high quality care. “Staff enjoyed working at the home and spoke positively about the registered manager and their strong leadership style and their oversight of the home,” she added. The CQC praised staff at the home for delivering “exceptional care, compassion and empathy that showed all people mattered and were important”.